Everyone that runs a blog wants to know how to increase blog traffic. Let’s face it the more traffic you have coming to your blog each month the more income potential you have. Have you ever heard of the saying “traffic cures all”? Take our blog for example. Last month we received over 300,000-page views and top over $13,000 in revenue! There are really only two strategies when it comes to increasing your blog traffic. Quantity – Get as much as you can, earn ad revenue, capture emails, and monetize through your email list. This type of blog traffic normally comes from social media platforms like Pinterest, Facebook, and Twitter. Quality – Focusing on getting high-quality relevant blog traffic (in which you need much less) to monetize. This type of blog traffic almost always comes directly to your site via referrals or organic Google search. Both methods work and it really comes down to your business strategy. How do you want to make money with your blog? Focusing on SEO provides you with amazing long-term gains, while social media provides you with more immediate traffic. It’s important to work on both of these to start to build your audience of readers that you can help in the long-run. For us, last month we focused on driving as much traffic as possible for a few reasons. In focusing on increasing our blog traffic last month we were able to accomplish all of these things. So, does blog traffic really cure all? I think it does to an extent. But the quality of traffic is just as important as the quantity. For example, driving traffic to your blog primarily using social media platforms like Pinterest and Facebook is going to cause the quality of your traffic to decrease significantly. 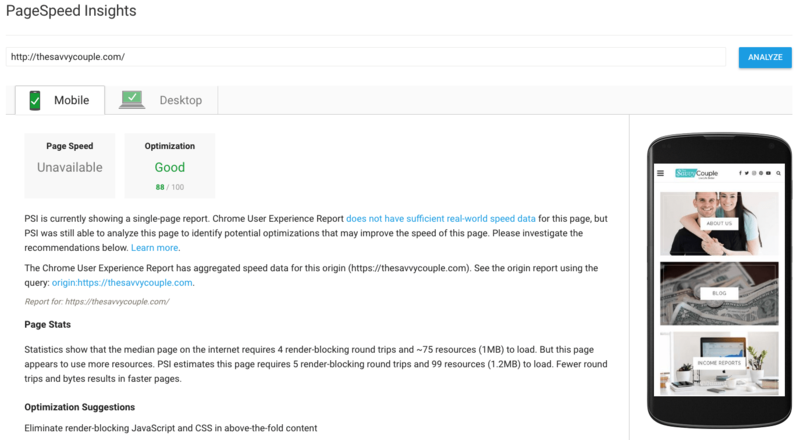 Meaning the users are more apt to bounce from your site faster. Making it much harder to capture emails and make sales/conversions. Overall traffic coming from social media marketing has much less quality than that of organic search engine traffic. The primary reason this happens is user intent. With social media marketing, you are throwing your content in front of users hoping they are interested. Much different than someone going to Google and searching for content to solve a specific problem. Which brings me to my point of needing to put all the pieces together to drive massive amounts of traffic to your blog. When it comes to increasing your blog traffic no size fits all. You should understand your blog’s revenue model and create a blog traffic strategy that will be successful for YOU. 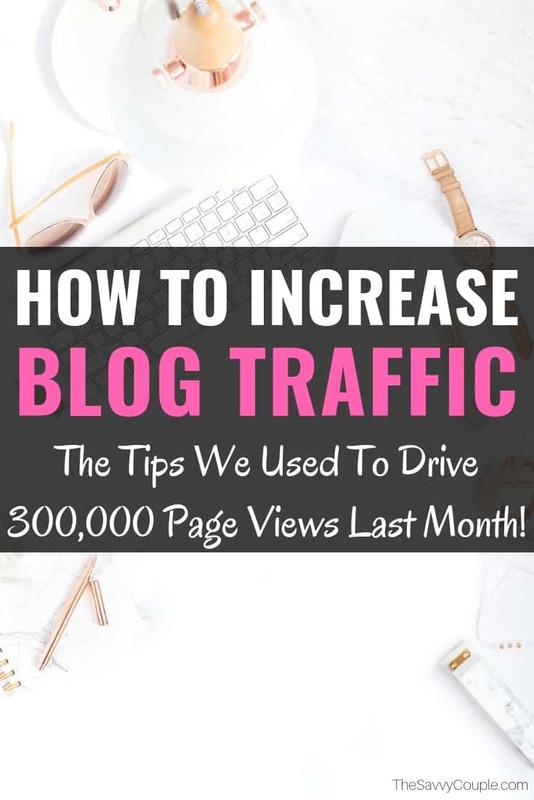 Below I am going to cover seven very useful blog traffic tips we used to drive over 300,000-page views to our blog last month. How are you increasing your blog traffic? Don't Make Another Pinterest Pin Without Watching This Video! Before you even start your process of creating content make sure you have a purpose behind it. You should never start creating content until you actually understand the purpose behind it. In general, when creating content there are three different purposes it can serve. Let’s take a minute and go over each one of these. This is your best of the best cornerstone content you want to be known for, you are an expert in, and want to rank on Google for. In order to be successful at creating evergreen SEO driven content, you must first understand the basics of SEO. Once you understand the basics it’s time to invest in your education and purchase an SEO course to further your understanding. The one we highly recommend is Stupid Simple SEO. This course has helped us 10X our organic search traffic! The Ultimate Survey Junkie Review: Spoiler It’s 100% Legit! The purpose of this content is to try and make it go viral on social media. If you are looking for some inspiration on this type of content look no further than BuzzFeed themselves. Viral social media content usually comes in much shorter form and most often is “listicle” format. These are great for driving traffic to your blog when you are first starting out and are working on your SEO strategy. Last month we had an article go super viral and receive over 100,000-page views on its own! We used the marketing strategies we learned in both Pinterest Traffic Avalanche and Facebook Ads for Bloggers. If you are taking your blogging business seriously then you need to start building backlinks starting yesterday. Backlinks are a must if you ever want Google to start trusting, understanding, and ranking your blog on their search engine. And let’s be honest Google is the only search engine you should be worried about ranking on. So what does link building content look like? Here are two examples we created and had some incredible success with. 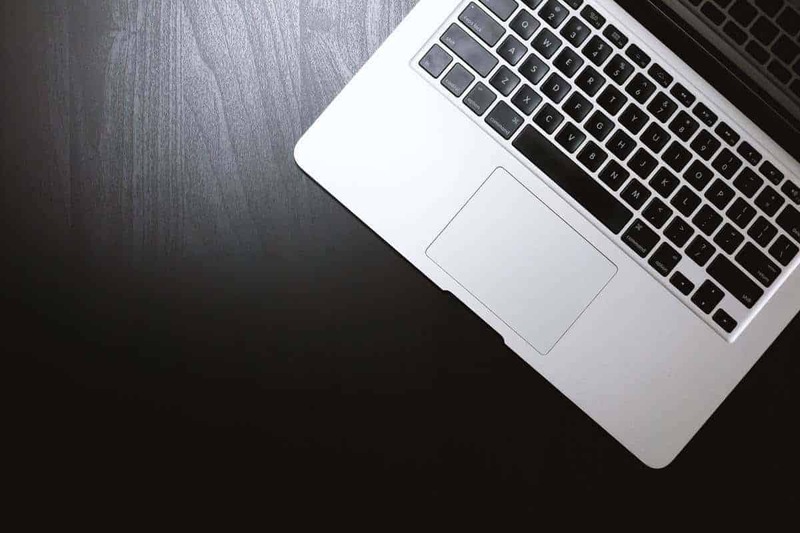 The purpose of writing both pieces of content was to not only to create an extremely valuable article, but also receive as many quality backlinks that we could. You will notice the first article about on-page SEO has a beautiful looking infographic that makes understanding on-page SEO easy for bloggers. I used this article and infographic we created to reach out to a bunch of big-time bloggers in the community to see if they would use it as a resource on their own blog. Through this outreach, I was able to secure a handful of quality backlinks. The second article is called an “expert roundup”. We reached out to a bunch of full-time bloggers making over $5,000 per month to ask for them to contribute their single biggest mistake on their blogging journey. The answers were incredible and the article came out amazing! After the article was published we did some outreach to see if the bloggers that participated would backlink to it as a resource. Almost half did. Start building your backlink profile today so you can start ranking in Google and driving organic traffic to your blog in the future. If you are running your blogging business for the “long-game” you need to start focusing on SEO now. Just look at what can happen when you start to take your SEO strategy seriously. Another great way to receive backlinks is using the service called HARO (Help A Reporter Out). They send you daily emails with requests from reporters looking for quotes, insight, tips, tricks, and advice on many different topics. This is a great way to get mentioned on big-time websites and a majority of the time receive a backlink. Responding to these requests have helped us get in the press and land on sites like The Penny Hoarder, Bankrate, Life Lock, Discover Card, and many more. So, if you want to increase your blog traffic make sure ALL of your content serves a purpose. You spend a ton of time creating content, but if you don’t spend the time to create epic click-worthy headlines no one is going to see it. This goes back to the 80-20 rule, 20% of your work creates 80% of your results. Well in blogging your content creation is only 20% of the work and the other 80% should be in marketing your content, starting with your headline. One of our favorite tools we use all the time is the CoSchedule Headline Analyzer Tool. You do have to create an account, but it’s completely free. 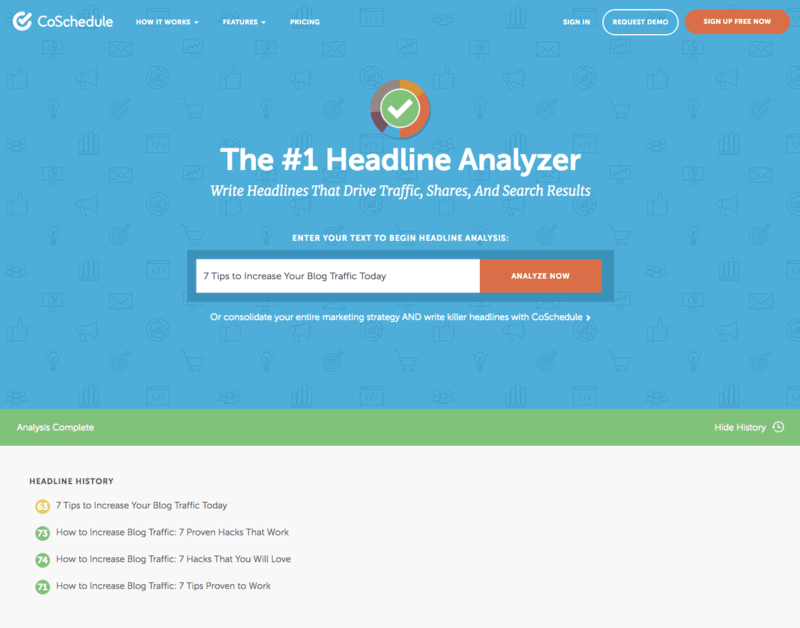 We create anywhere from 10-20 different headlines for each article using this tool. We then sift through our ideas and pick the one we think will work best with our audience. The great part about doing this is you now have a list of 10-20 headlines you can use to test your Pinterest pins and Facebook posts with. If you want to create epic click-worthy headlines you need to follow this simple formula. If you can make someone curious and show value in the headline you are going to increase your blog traffic dramatically. 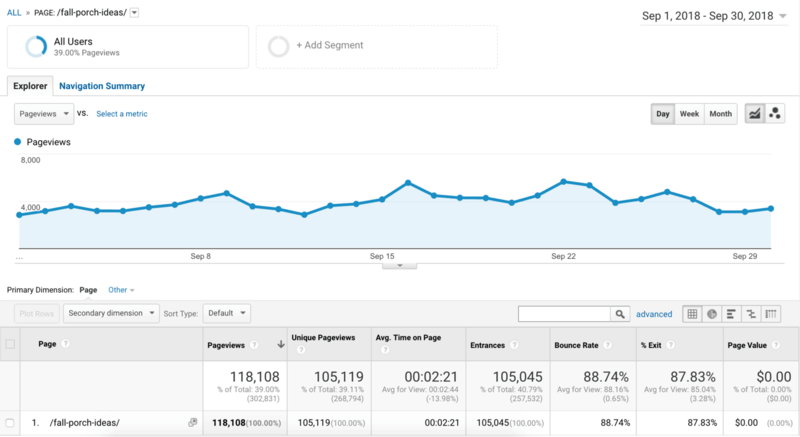 Take the headline of this article for example: How to Increase Blog Traffic: 7 Tips We Used to Drive 300,000-Page Views. We create curiosity for those looking to increase their blog traffic by clearly stating “How to Increase Blog Traffic” in the title. Then create value by stating “7 Tips We Used to Drive 300,000-Page Views”. It’s a pretty simple formula and it works like a charm! One of the biggest mistakes bloggers make is trying to be everywhere at all times. I know when we first started this was the approach we took too. But this is honestly a terrible approach to driving blog traffic. We wasted countless hours building our Twitter followers past 10,000 thinking that would help us drive traffic. Now we only use the platform to connect with others. Think about where your avatar hangs out and go market to them. STOP wasting time trying to be on every platform and marketing to the wrong crowd. For us, our avatar hangs out on Pinterest. It is by far the best platform to market to our audience because that’s where they hang out. Last month only we drove over 100,000-page views from Pinterest alone. The best part is Pinterest traffic is that it’s FREE! If you are stuck and frustrated in using Pinterest as a platform to drive traffic to your blog we highly recommend you check out Pinterest Traffic Avalanche. Figure out where your audience hangs out online, master that platform, and you can drive massive amounts of traffic to your blog. Paid advertising can be super scary. It can be confusing, overwhelming, and frustrated all wrapped up into one. We spend countless hours trying to learn it ourselves, take free courses, and test things on our own. It was a huge waste of time and money. My suggestion is to pay for a course and learn it the right way. Running paid advertising to your blog can literally make it explode overnight when done correctly. The two courses we have personally taken and highly recommend to all of our readers are Flourish With Facebook Ads and Facebook Ads For Bloggers. Flourish with Facebook Ads – Is all context based and very detailed. If you learn best by reading and want to learn EVERYTHING there is to know about Facebook ads then this is the course for you. Facebook Ads For Bloggers – This course is complete video based. If you are a visual learner and want to learn some of the greatest tips and tricks to really lower your costs on your ads this is the course for you. Getting cheap paid traffic through Facebook is not going to be around for forever. It’s getting more and more competitive each and every year. So take the time, invest in a course, and learn how to market your blog with Facebook ads. It’s the fastest way to increase your blog traffic and online income. Like I mentioned above organic Google search traffic is the highest quality traffic there is. Unlike social media platforms, the users have intent on what they are looking for. They know what they want and are ready to decide right away. Meaning organic search traffic converts into email subscribers, affiliate sales, and products sales much easier. Focusing on optimizing some of your content for SEO should 100% be part of your blogging business strategy. When it comes to optimizing articles for SEO you need two things. Here is the visual infographic we made for on-page SEO for bloggers. 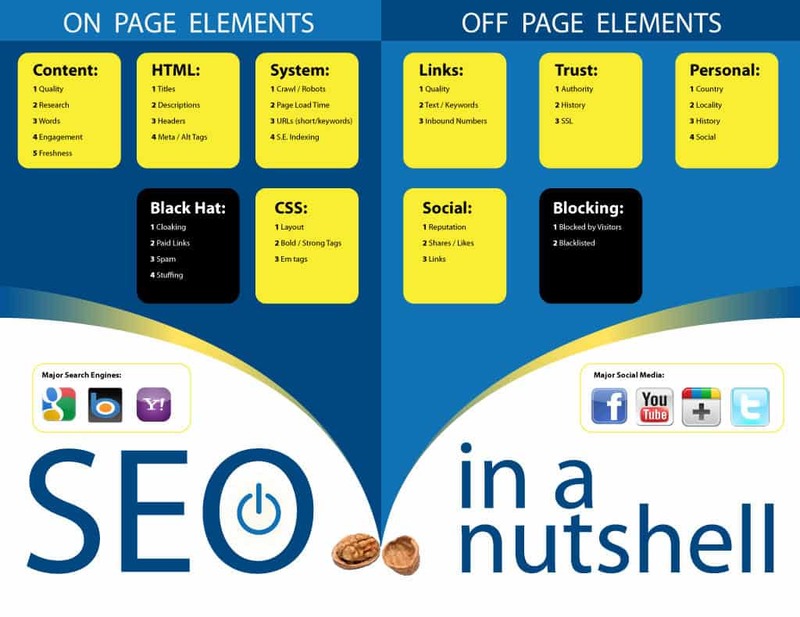 Below is a great infographic Neil Patel made to help you understand off-page SEO. Something that is overlooked by all bloggers (including ourselves) is page speed and user experience. If you are a blogger wanting to increase your blog traffic having a fast site with great user experience is a MUST. For the first two years of our blogging journey, we completely ignored our site speed and user experience. It held us back from increasing our blog traffic and growing our revenue. 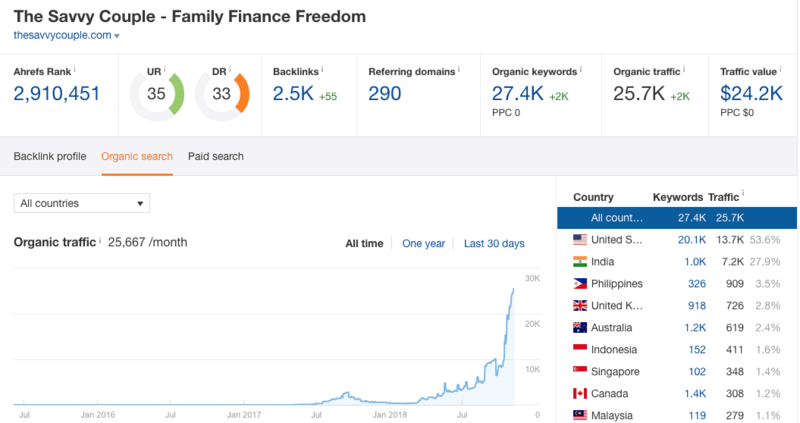 The month after we got our website optimized by our good blogging friend Teresa over at A Fearless Venture (check out her services she is a WordPress wizard) our income skyrocketed and our blog traffic took off like never before. I truly believe this is one of the KEY elements to running a successful blog that almost all bloggers completely ignore. A well-optimized site is going to make readers stay longer, view more content, have more trust, and have a much greater overall experience. All of these things are HUGE factors in how Google will treat your site in their search rankings. I cannot stress enough the importance of taking your website speed and user experience very seriously. Taking action on some of the pointers above will almost guarantee more blog traffic and a significantly improved user experience. Another aspect of driving traffic and running a successful blog is growing your email list from the start. We spent more than a year not really caring about our email list, big mistake! Like you have heard many times before “the money is in the email list”. Well, stop ignoring that advice! It’s 100% true and will continue to be true. We did not fully understand the importance of our email list until we received blog coaching from the one and only Sarah Titus. She is an incredible at blogging and even better person. Her blogging empire is generating a few million dollars a year with her email marketing and Shopify stores. What is ONE thing almost all successful bloggers have in common? A HUGE email list. The majority of bloggers making $10k, $50k, $100k per month have a huge email list. It’s the bread and butter of many blogging businesses. The list could go on and on but you get the point. Growing your email list should be one of your top priorities if you want to increase your blog traffic and revenue. Focus on creating great lead magnets (opt-ins) and providing an incredible amount of value to your email list. Your true fans and followers will be on your email list. Give them things they cannot get anywhere else, share your story, connect with them, and show them the products and services you love. If you are brand new to email marketing start with Mail Chimp as they are free for the first 2,000 subscribers. Once you your feet a little wet and are ready to invest some money into the best email marketing software designed specifically for bloggers sign up for ConvertKit. ConvertKit makes it easy to segment your list, create automation rules, build out sales funnels and more. Using their software, we were able to generate over $1,000 in revenue from one email campaign! You can give ConvertKit a FREE test drive with our exclusive link. These are the main blogging courses we have personally taken and found incredible value in. We have found one of the biggest hurdle’s bloggers create for themselves is not investing in their education. Being smart with your money and trying to do it on your own is fine. It’s just going to take you MUCH longer to learn how to become a successful blogger. 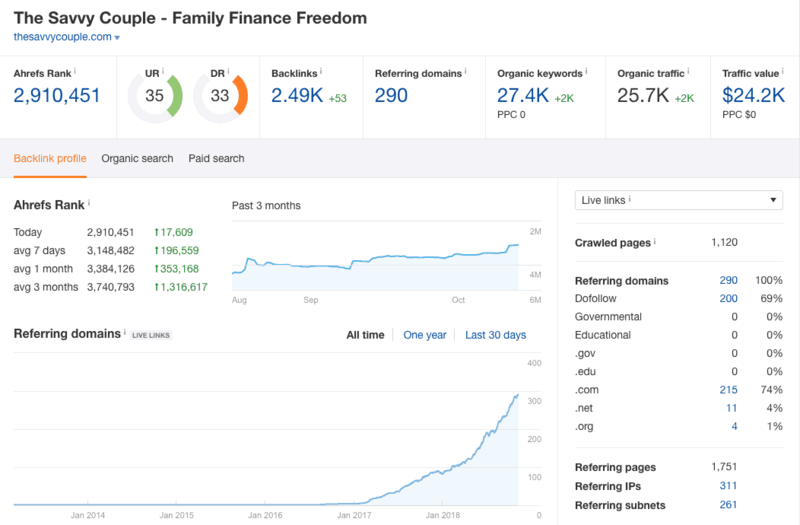 It wasn’t until we started investing in our education that our blog took off and started making $10,000/month. So, my suggestion is to invest in the courses below and learn from the experts. You now know how to increase blog traffic and explode your blogs potential. Save this article or share it on social media to go back through from time to time to make sure you are taking action on the steps outlined above. Remember your blog’s potential greatly depends on the traffic it receives. Please take a second and join our private Facebook community Blogging With Purpose. We have many of the leading experts in the blogging community ready and able to answer any questions you might have. It’s a great place to connect with others and grow the blog of your dreams. 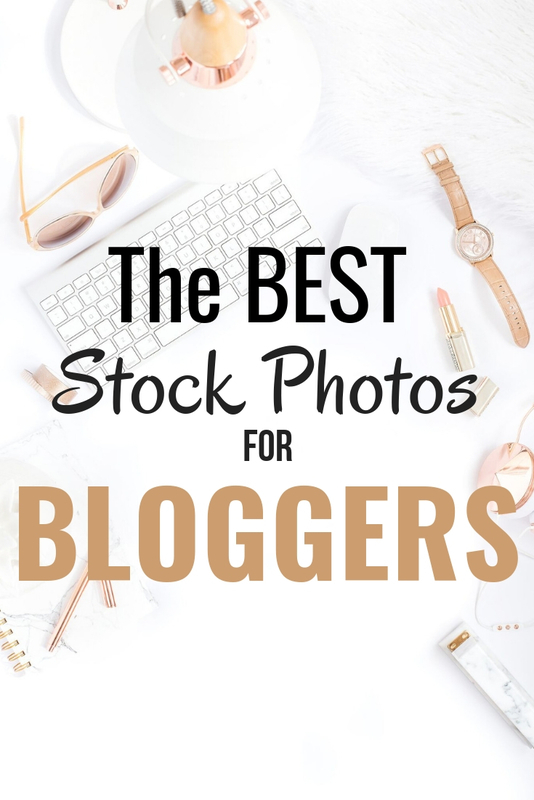 Learn how we use stock photos to create beautiful looking Pinterest pins that drive tens of thousands of page views every month. Subscribe now. This has been one of the best blog posts I’ve read. Lots of information all in one place, very informative! Well change that mindset because you DO have value to add. People want human connection. Just sharing a story on how you saved money, invested, mindset change, etc is helpful to people. Make it unique and fun to read. Send articles you found useful. Lot’s of different ways to provide value you just have to think outside the box a little when you are first starting out. Hey, I’ve the same mindset. I run a blog mostly reviewing books and writing posts regarding “reading” as a hobby. I’ve not started collecting e-mail subscribers as well, fearing I’ve nothing valuable to offer the audience. Anyway, this is a very top-notch, no-nonsense article. 🙂 I learnt a lot. Thank you for sharing. Pinning it. Thanks a bunch for stopping by and leaving a comment. Means the world to us that you got a bunch of value from it. This is a GREAT article. Lots of useful information. Thank you! Thanks Jamie! So glad you found it valuable! There are at least a few things I need to change and start doing after reading this. You guys rock! Thanks for sharing the article Eric. Glad you found it useful! Love that you share how much $ you.made from mediavine from that amount of hits. I always wondered how much more mediavine paid vs adsense. I got some work to do, but i will use your advice to better it. Yea Mediavine pays about 10X or more what adsense will pay. Well worth applying as soon as you hit 25k sessions within a 30 day peroid. I’ve just started focusing more on SEO on my blog. This post has been invaluable, especially as it provides a lot of information even those who have already learnt about SEO might not know. I’ve been using the Yoast plugin for months, but I’d never thought about creating an infograph and asking people to use it for my posts! OR asking people to share my posts they have been mentioned in. You bet Emily! Glad you found this article helpful =). BTW the course Stupid Simple SEO is opening its doors tomorrow for 5 days. I would jump on the opportunity while it’s here. If you are on our email list you will be notified and offered a bonus for signing up. Thank you for this! It is very helpful. I will be sure to keep this bookmarked. Thanks for the compliments Ivy! Glad you got a lot of value out of it. Aww thanks! Definitely wanted to make this a post that was super helpful to others.